Spinal disorders can range from an uncomfortable inconvenience to a complete functional disability. 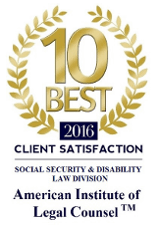 The key to navigating the legal system to claim your disability is having an experienced disability attorney in Wilmington who is on your side. At Greg Kornegay Law we’re here to help you understand your case and provide the necessary guidance in both the medical system and court system to determine if you qualify for disability benefits. Determining whether you have a case starts with a thorough and accurate medical diagnosis. Your backbone, or spine is made up of 26 bone discs called vertebrae. The vertebrae protect your spinal cord and allow you to stand and bend. Sometimes the structure of the spine can change or the vertebrae can be damaged. The following back problems are seen by the Social Security Administration: injuries, infections, tumors, ankylosing spondylitis, scoliosis, bone changes that take place as we get older, such as spinal stenosis and herniated disks. Degenerative disc disease in the back is a very common diagnosis. However, degenerative disc disease (DDD) is not really a disease but a term used to describe the normal changes in your spinal discs as you age. As we age, our spinal discs break down, or degenerate, which may cause degenerative disc disease. The problems from degenerative disc disease may be from the loss of fluid in the discs thereby reducing the ability of the discs to act as shock absorbers. There may be tiny tears or cracks in the outer layer of the disc – the jellylike material inside the disc may be forced out through the tears which causes the disc to bulge, break open (rupture) or break into fragments. For back cases, the ability to sit and stand will be at issue during a Social Security hearing. A leg or both legs may be weak or numb. The degree, frequency, and location of pain is most important. Sometimes, if the Social Security Administration is trying to fight your case, they may try to argue that the need for you to sit or stand to relieve the pain can be “accommodated” by an employer during work breaks. The problem with this argument is that most employers do not allow their employees to sit and stand at will. This may be just because of the way the job is performed (i.e., cashier). Unskilled types of jobs are particularly structured so that a person cannot ordinarily sit or stand at will. If you are having severe pain from your back condition, then this needs to be documented by your doctor’s notes or other medical records. It is advisable to even keep a pain diary to support your testimony at the Social Security disability hearing. Cases are sometimes won based on the person’s concentration being so severely impaired by pain that work is impossible. There are many back conditions that can cause this type of pain and the Social Security Administration is receptive to this argument if there is sufficient proof. An example of sufficient proof is when you can show you have tried many different types of treatments for the pain, but nothing seems to be working.